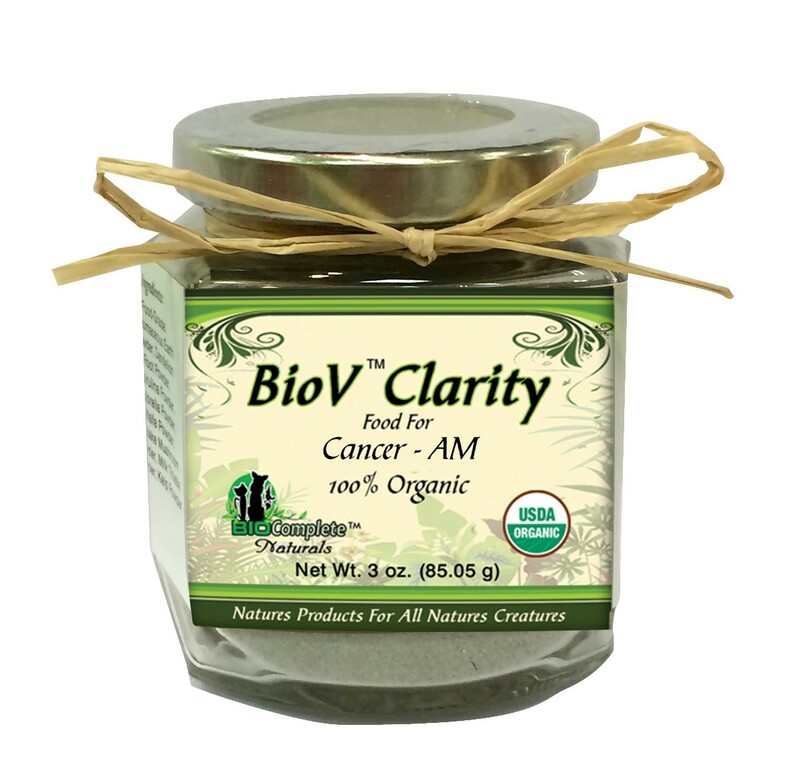 BioV™ Clarity Cancer AM - Cancer is primarily an environmental disease, actually symptoms of imbalance and toxicity. Everything from vaccines, preventive medications, lawn chemicals, insecticides, many food additives, and cleaning products contain thousands of toxins that influence cellular expression. As these toxins accumulate in the body, the balance of the body is altered and causes these cells to proliferate. Our proprietary blend of botanical foods is designed to support a wide range of detoxifying and have save supportive cancer fighting properties. Use in a synergistic partnership with BioV™ Clarity Cancer PM. 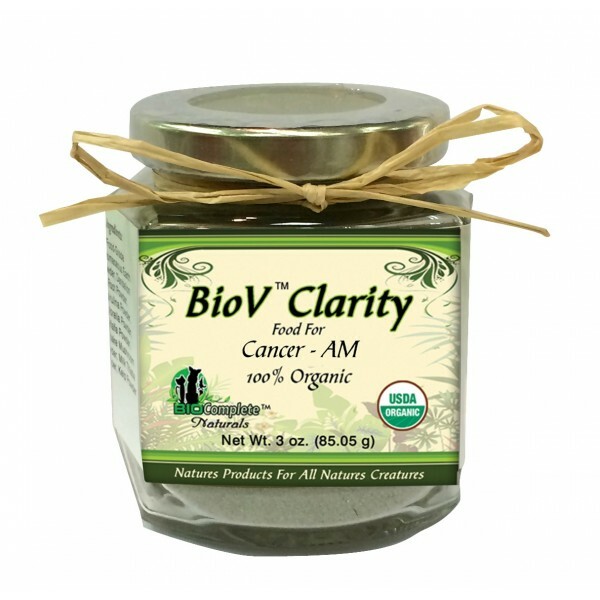 BioV™ Clarity Cancer AM - Cancer is primarily an environmental disease, actually symptoms of imbalance and toxicity. Everything from vaccines, preventive medications, lawn chemicals, insecticides, many food additives, and cleaning products contain thousands of toxins that influence cellular expression. As these toxins accumulate in the body, the balance of the body is altered and causes these cells to proliferate. Our proprietary blend of botanical foods is designed to support a wide range of detoxifying and have save supportive cancer fighting properties. Use in a synergistic partnership with BioV™ Clarity Cancer AM. Spirulina, Shiitake, Maitake, Pau D’Arco, Astragalus, Marshmallow, Birch Bark, Wormwood, Cat’s Claw, Don Quai and Diatomaceous Earth Powder (food grade).